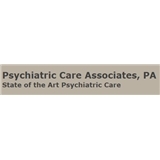 Psychiatric Care Associates, PA (Englewood) - Book Appointment Online! PLEASE COME TO YOUR APPOINTMENT 10-15 MINUTES EARLIER! PLEASE MAKE SURE YOU DO NOT SHOW UP TO THE OFFICE WITHOUT APPOINTMENTS BEING CONFIRMED!